hether you are a wine connoisseur like me or are always on-the-go with kids or at work, keeping those pearly whites WHITE can be a daunting task. I have tried many teeth whitening options in the past –most of them working well, but I found I had a great amount of sensitivity for quite a few days after whitening. It had been a year since my last at-home whitening treatment, so my teeth were in desperate need of some attention. 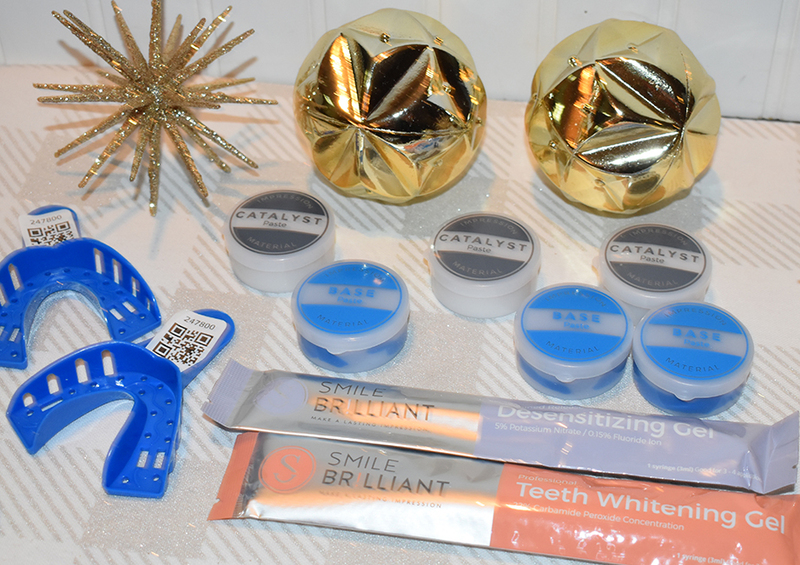 A few weeks before Christmas, I had the opportunity to try something a bit different than the usual Crest Whitening Strips; I got the chance to try a unique custom-fitted teeth whitening kit by Smile Brilliant. Smile Brilliant is cruelty-free and only uses vegan-friendly products which is a huge plus! Smile Brilliant is like going to get a professional whitening treatment at the dentist, in the comfort of your own home [who likes going to the dentist anyway?] On top of that, the cost of professional whitening is upwards of $500 dollars. With Smile Brilliant you are saving money and time by eliminating dental visits. The only part that I found a little tricky was making my own impressions. They send you an extra just in case your first one doesn’t work out, and I definitely had to use it! The good thing is, if you can’t get it with the three they provide they will send you extra base/catalyst paste if you email them. You start by mixing the base and catalyst paste together by folding them in half until you can’t see the white anymore. You then roll it out and press it into one of the trays and immediately bite down into it ensuring the paste is covering your teeth and a little bit of the gums. Wait 2 minutes and repeat these steps for the second tray. Once you have finished, rinse them with cold water and place them in the prepaid return envelope. 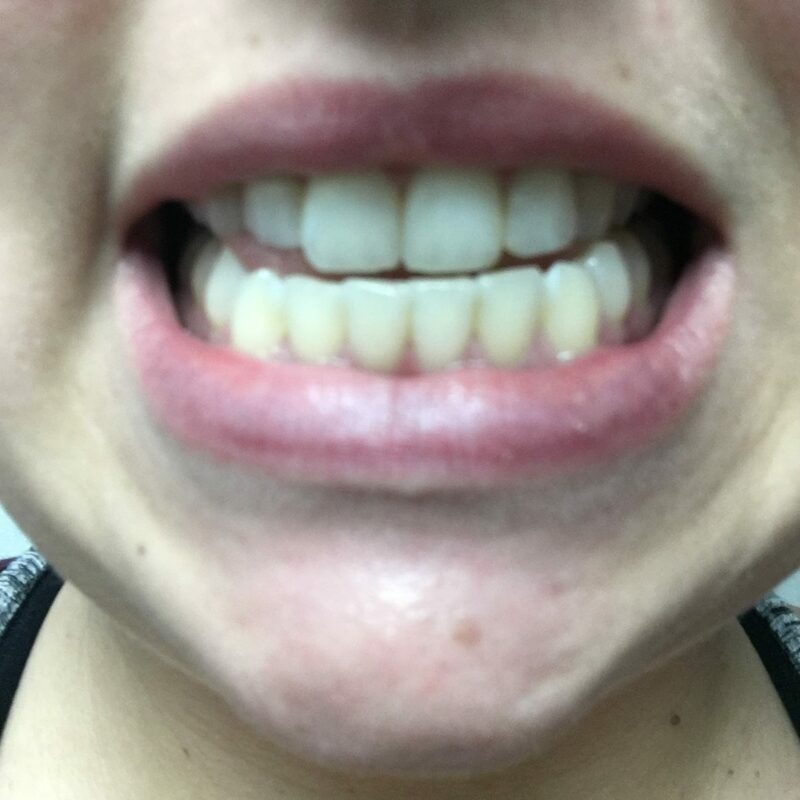 Within 2 weeks, I had my personalized whitening trays returned and ready to use. The whitening process is so simple! 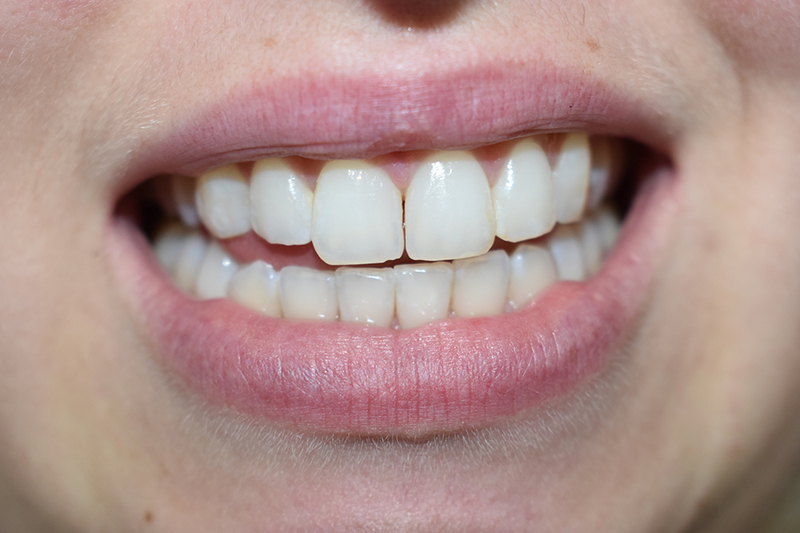 All you have to do is use the whitening gel provided and squeeze a ribbon of it along the front of the trays then go ahead and pop both trays into your mouth to start the process. It gets into all the nooks and crannies unlike many other whitening products. You can whiten anywhere from 15 minutes to 3 hours. I started with 45 minutes because I was worried about my teeth being too sensitive and worked up to 2 hours. The amazing thing is my teeth weren’t sensitive at all! I didn’t even need the desensitizing gel [although I still used it as it helps re-hydrate the teeth and get rid of the white spots after whitening.] The best part is the whitening product lasts a long time, you can get almost 6 uses out of one syringe. The custom fitted dental trays from Smile Brilliant fit my teeth perfectly! They are comfortable and not like the usual whitening trays you get from a pharmacy [you can actually talk with them in!] The trays are soft and thin, which makes them comfortable to wear and easy to pop in and out of your mouth. I typically use the whitening system at the end of the day when I am watching Netflix or working on a blog post. Each session I did was about 1 hour every second day, and I slowly started to see a difference after the 5th session. 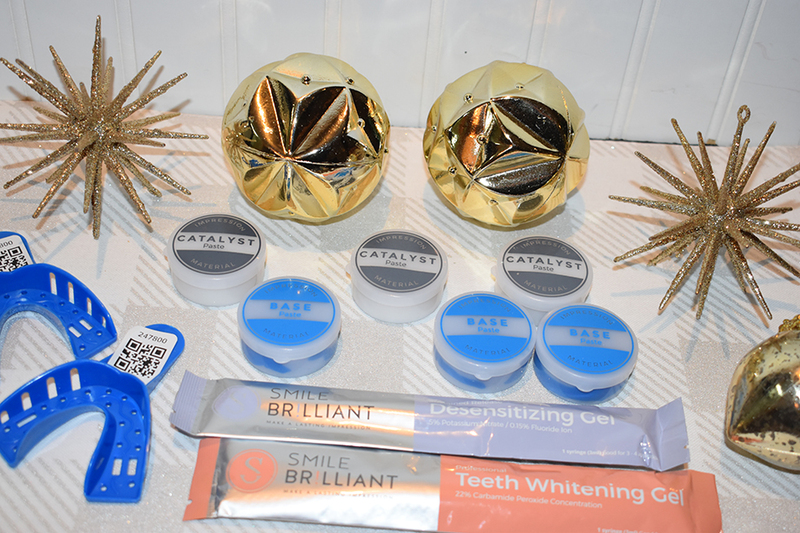 Although I have had tooth sensitivity issues in the past with other whitening products, I had no issues with Smile Brilliant! The desensitizing gel was great for the hydration of my teeth as I did notice some white spots after whitening [which is completely normal so don’t be alarmed!] 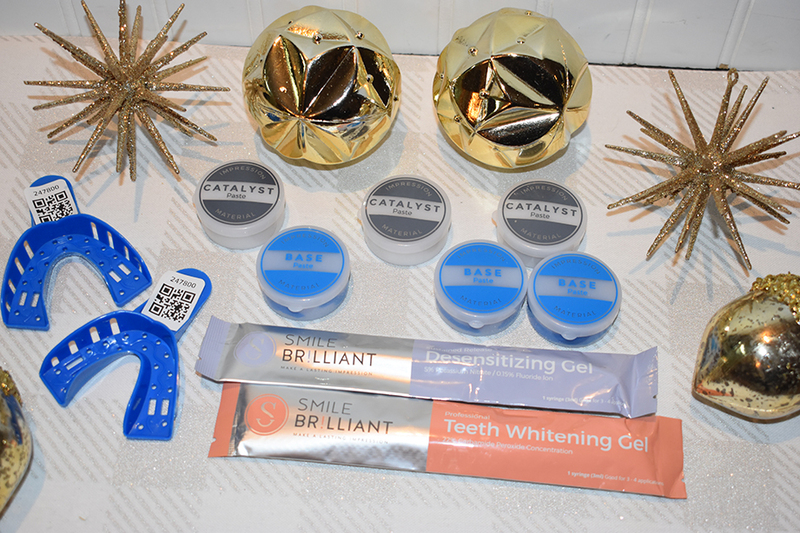 Overall, I will definitely continue using Smile Brilliant as it works great and was made to fit perfectly around my teeth. I am super excited to have partnered with Smile Brilliant to give one of my lucky followers a $149 credit to try one of the amazing whitening kits they offer! Enter here and fill in your name and email address. Adding your instagram username will count for an extra entry as well! 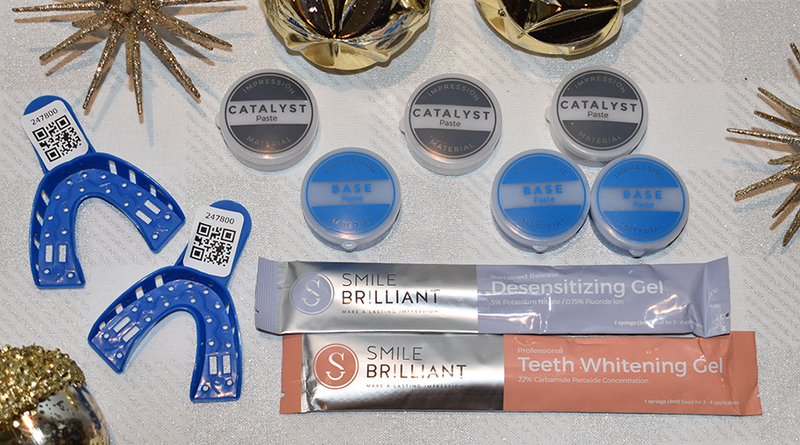 If you want to get your hands on a whitening kit asap [because you just can’t wait!] use my coupon code ‘houseofclassy‘ for 10% off! **Sample was provided for review consideration. All thoughts, opinions, experiences, and results are my own!